WhoMadeWho rocks, but that doesn't mean you can't dance. WhoMadeWho, its name lifted from an AC/DC song, has been an overnight success in Europe. “The whole idea was that we could stand in the middle of a club and just jam and improvise instrumental music, reacting to the crowd with our music and communicating like a DJ.” In the early aughties, that was still a fresh concept. Dance-rock bands like LCD Soundsystem and Hot Chip were just emerging, and the formula hadn’t yet crossed into the U.S. rock-music sphere. It would be a few years before MGMT and Passion Pit won acclaim. 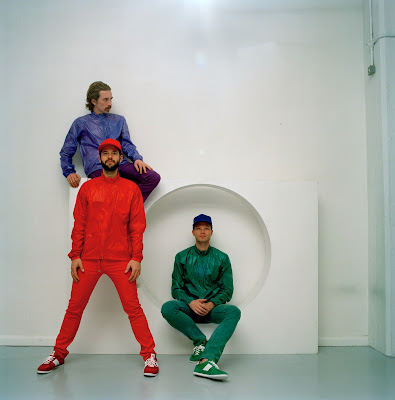 Despite its popularity overseas, WhoMadeWho is only now gaining steam stateside. If not for the band’s much-talked-about South by Southwest set this year, it wouldn’t be embarking on its current U.S. tour. DJ Mix | Telephoned "Keep Their Heads Ringin"